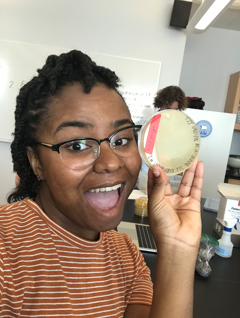 Discovery Notes I got a plaque from my second soil sample enrichment (9/27/18). My soil came from the construction site near the student health center. 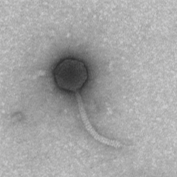 From 22 students multiple (five) attempts each, HerbertWM was the only phage isolated. The titer remained very low and DNA was virtually impossible to obtain. Sequencing Notes The sample also contained a circular contig approximately 11.4k which had 20x read coverage when compared to phage Herbertwm. This 11.4k contig appears to contain some phage genes including an integrase and tape measure.